I chanced upon this Kdrama while I was looking for a new Kseries to watch. Investigation Couple stood out for me because it didn't seem like your typical Kdrama wherein boy meets girl, boy and girl hate each other, yada yada. This one seems to have two protagonists who are not meant to fall in love. This series has 32 episodes and it is currently only on Episode 18. Yikes. I thought that it was already done because I liked it so much that I finished Episode 1 to 16 in just 2 days. Yes, the Kdrama bingeing is back for real. 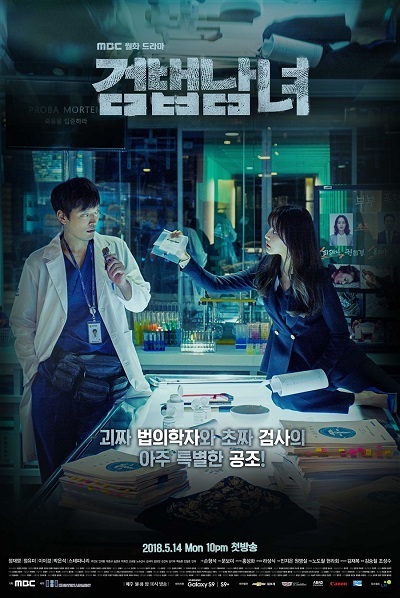 Investigation Couple stars Baek Beom (Jung Jae-Young) who has worked as a forensic doctor for 10 years. He has a very unique personality, but he is excellent with his work. Eun Sol (Jung Yoo-Mi) is a rookie prosecutor with a warm heart. She has a bright personality though sometimes she tends to not think thoroughly and she comes from a wealthy family who wants to see her married and settled down. For the trailer, go here. Personally, I love this series. It's different and it gives me an insight on how Korean forensic investigators work which is slightly different from their US counterpart. It's quite interesting seeing the nuances and learning from it at the same time.